Rock-n-roll music has arguably been the dominant cultural force of the last 50 years. Its influence on younger generations throughout its history has been both profound and well-documented. Often overlooked, however, is rock's deep and inherent spirituality. In <i>The Gospel According to Rock</i>, Toby Jones argues that Rock's most classic and enduring songs speak of compassion, peace, love of neighbor, forgiveness, tolerance, and concern for the environment - all themes that are central to the Christian tradition. Why, then, has rock been so maligned by the Church? Have Christians been too quick to dismiss this dominant art form because of its rough edges and rebellious messengers? <br /> Rocker and theologian Toby Jones sees rock-n-roll artists as modern-day prophets, outsiders who speak truth to power. 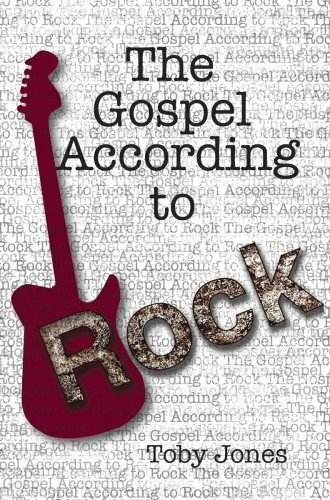 In <i>The Gospel According to Rock</i>, Jones contends that Bono, Bruce Springsteen, Ben Folds, and countless other rockers challenge the political, religious, and economic authorities of their time. Rock's best messages are, in many ways, the same as those of Jeremiah, Hosea, Isaiah, and Jesus himself. Toby Jones, a pastor by day and a rock-n-roller by night, is uniquely qualified to explore secular rock's surprising connections with the Christian gospel. Not only is Jones a Princeton-trained theologian, but he's also been performing rock music professionally for over 30 years from Cleveland, Ohio to Hampton, New Hampshire. In addition to his many musical accomplishments, Toby has taught English and poetry at some of the nation's top prep schools, including Phillips Exeter. He currently writes rock reviews for national magazines from his home in Harbor Springs, Michigan, where he resides with his wife Molly and their two children, Miles and Liza. They're anxiously awaiting the arrival of their third child in early January of '08. Toby is the Associate Pastor of The First Presbyterian Church of Harbor Springs.